Today on TeleAntioquia local tv channel, during a tv add, one can see the variant flag of Envigado with the coat of arms in the middle. 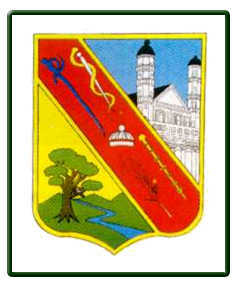 The Coat of Arms was designed by Presbiterian Julio César Jaramillo Restrepo in the 1960's but it was officially adopted by Municipal Agreement No. 019 of December 1, 1994, by the City Council..